The People’s Democratic (PDP), has responded to the allegation levelled against it by All Progressives Congress (APC), regarding the INEC server. APC alleged the PDP hacked into INEC server to generate results it presented in a petition to the presidential election tribunal where the opposition party claimed Atiku Abubakar defeated Buhari with 1.6m votes. 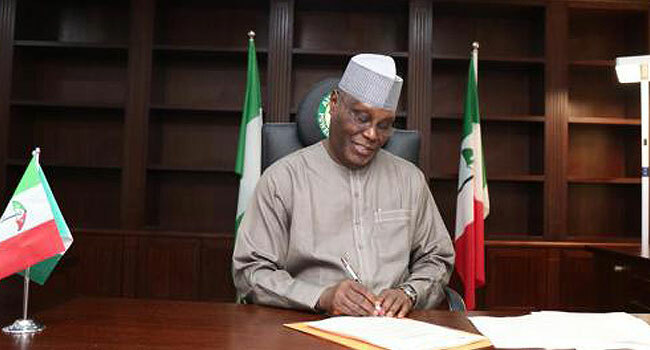 On Monday, in a letter to the acting Inspector General of Police and Director General of the Department of State Service (DSS), the official spokesperson of the Buhari Campaign Organisation, Festus Keyamo, asked that Atiku and PDP leaders be interrogated and arrested. PDP in a statement by its spokesman, Kola Ologbondiyan, on Monday night, asked the APC to stop “their unnecessary fabrications, smear campaign and prepare to face its legal team at the Presidential election tribunal”. The statement accused APC of attempting to blackmail the election tribunal engaging in clear acts of subjudice. It claimed that the party and its candidate, Muhammadu Buhari, are burdened by the illegitimacy in the outcome of the elections of February 23. “It is even more appalling that Festus Keyamo, a Senior Advocate of Nigeria (SAN) and a member of Buhari’s legal team, who should know better, would engage in this act of subjudice designed to distort facts already known to Nigerians, that our Presidential Candidate and former Vice President, Atiku Abubakar, clearly won the February 23 Presidential election,” the party said.